Dragon Smoke has sold-out every show to date…every year in a row in New Orleans during JazzFest and also in San Francisco for more than 14 years! DRAGON SMOKE has crowds and lines down the street (all night long) each and every night they perform. This band is super hot! 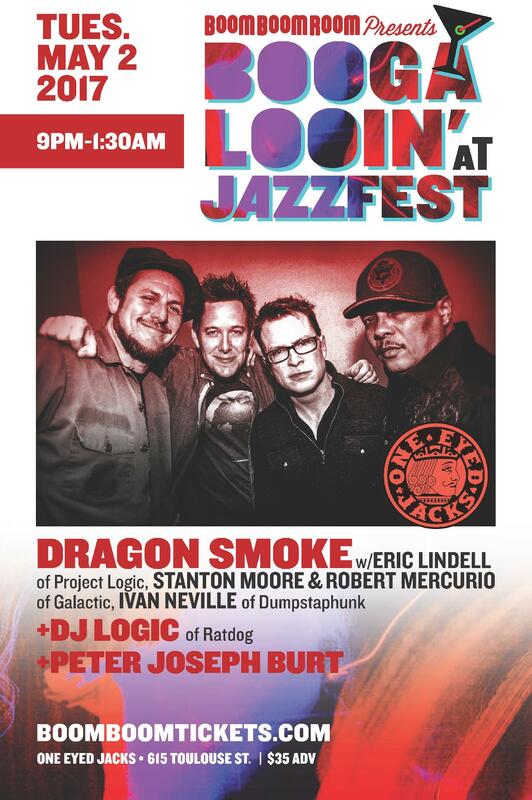 It is a very rare treat to catch the DRAGON SMOKE show (as the individual players are in their own separate major touring bands and their schedules of availability rarely coincide with each others, Dragon Smoke has only been able to get together and perform a small handful of select dates each year). So don’t miss this one! 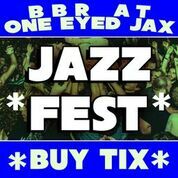 *DRAGON SMOKE* performs at ONE EYED JACKS on Tuesday, May 2 2017 bringing its stellar style of dirty-south funk and new New Orleans R&B Rock in what is a kick-azz rockin’ show from start to finish! Peter Joseph Burtt draws from many sources and chronicles the years that he spent living and studying with master musicians of Africa. Much of his music is played on traditional instruments like the 26 stringed kora and the Mbira, as well as the guitar and soulful vocals. which includes entry to both Dragon Smoke AND The Whip for only $45!! !